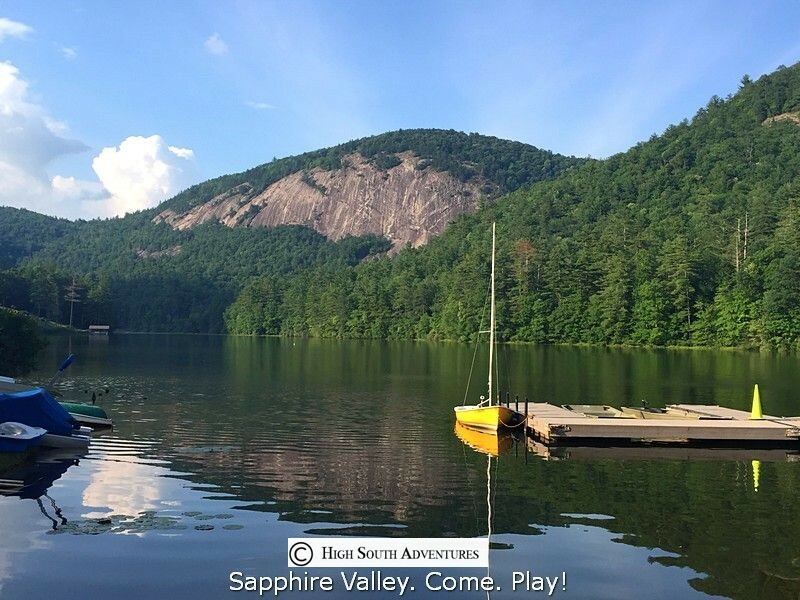 Sapphire Valley Resort's Gleamings is updated weekly with everything happening in the valley! A nice 4.5 hour trip that takes you up to the Highlands area for a 2 hour visit of shopping and sightseeing with numerous lunch opportunities ( not included in fare) ) in one of the mountains most interesting little towns. Finish with local hot spot Nature sights. $20.00 plus tax. Sign up by 11:15 Monday. Tuesday, 9:00 am BILTMORE ESTATES & WINERY TRIP Come with us as we journey to one of WNC’s most intriguing homes & winery. Bus leaves the CC at 9:00 am. Includes trip and admission; Adults: $69.00, Ages 10-16 $45,00, Under 10 $20.00, plus tax. Please sign up by 5:00 pm Monday. Tuesday, 9:00 am CHEROKEE INDIAN RESERVATION TRIP Visit the Indian Museum & downtown shopping/lunch OR Harrah’s Casino for gambling fun! $20 Admission to museum not included. Sign up by 5 pm Monday. Wednesday, 8:30 am GREAT SMOKY MOUNTAIN RAILROAD TRIP This scenic journey travels along rivers & gorges, fantastic views and fresh air! $71 Adult/ $49 2-12. Train AND Jeep adventure ride for $115.00 Ride the train almost to NOC then board a jeep for a fun trip back! Please sign up by 5:00 pm Tuesday. Thursday, 9:00 am BLUE RIDGE PARKWAY & LUNCH Ride our bus through the magical Blue Ridge Parkway and Pisgah Forest. Have lunch at Pisgah Inn ( Lunch not included in fare ) and then visit the Cradle of Forestry and Pisgah Trout Hatchery on the way back. $22 pp. Please sign up by 6:00 pm Tuesday. *Weather and Parkway permitting. SAPPHIRE VALLEY VAN TRIP CANCELLATION POLICY; ADVANCE RESERVATIONS FOR ALL OUR CLASSES, TRIPS, SPECIAL EVENTS & TOURS ARE REQUIRED. GUESTS MUST SIGN UP BY 6:00 PM ON THE EVENING PRIOR TO THE CLASS, TRIP OR TOUR TO PARTICIPATE. ALL CLASSES, TRIPS AND TOURS ARE NON-REFUNDABLE. MOST GO RAIN OR SHINE. SVMA RESERVES THE RIGHT TO CANCEL ACTIVITIES BASED ON PARTICIPATION LEVELS AND WEATHER ISSUES, IN WHICH CASE A FULL REFUND IS MADE. ole fashioned Root Beer or Ginger Ale Float. 16 oz. $2.00 each. Then stick around for BINGO! !